The reputation of Ithaca slug guns and their outstanding accuracy goes back longer than you might think, long before modern sabot shotgun slugs and rifled barrels. Referring to Walter Snyder's excellent historical look at the M37, Ithaca Featherlight Repeaters . . . The Best Gun Going, the Deerslayer was new for 1959. It began as a hunting experience of the head of the Ithaca Repair Department, Edwin Thompson. Francis Keene, head of the Ithaca barrel room, developed the technique for boring the Deerslayer barrel. The idea was to bore the barrel to essentially slug size diameter constantly throughout its length, not the standard practice back then. Still a smooth bore, the Deerslayer promised and delivered 5 shot, 2 inch groups at 40 yards, accuracy that was unheard of from smoothbore shotguns and slugs at that time. The Deerslayer II, the first production shotgun with a rifled barrel, didn't appear until 1988. The Deerslayer II was always a solid frame shotgun, totally eliminating the play of interchangeable barrels. The permanent sling stud was added to the barrel in 1993. 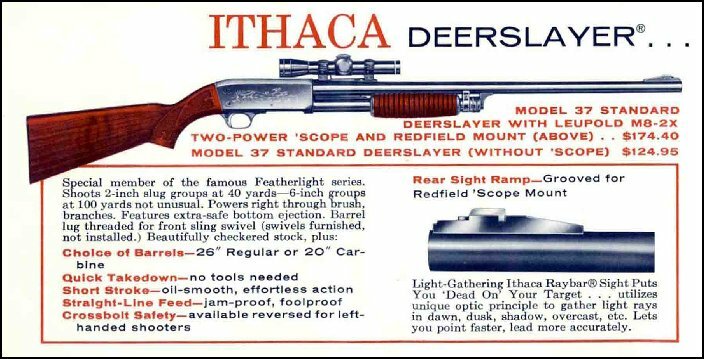 The Ithaca Deerslayer legend began back in 1959. The accuracy of two inches at 40 yards was impressive for its day, but the current DeerSlayer II Twenty Gauge model, as tested, did far better than that . . . at 100 yards. The tested model is the standard barrel profile twenty gauge Deerslayer II with a twenty-four inch barrel, 1:24 rate of twist, with the standard black walnut Monte Carlo stock. A thumbhole model is also available. The gun, as supplied, weighs right at seven pounds including both iron sights (Marble) and its Weaver #62 rail scope base installed. The gold trigger breaks at a crisp 4-1/2 pounds. I wanted a scope to match this rifle, not overwhelm it. I decided on a Burris 2-7 x 35mm Fullfield II with the Burris ballistic reticle. I mounted it using Warne medium height steel quick release rings. This gives you some of the best of both worlds, as you have instant access to your iron sights with just a couple of quick turns on the rings. There are rainguard and other lense coatings, but not leafguard, crudguard, and mudguard. Sometimes Murphy's Law appears, so you might as well be prepared. This set-up makes it easy. 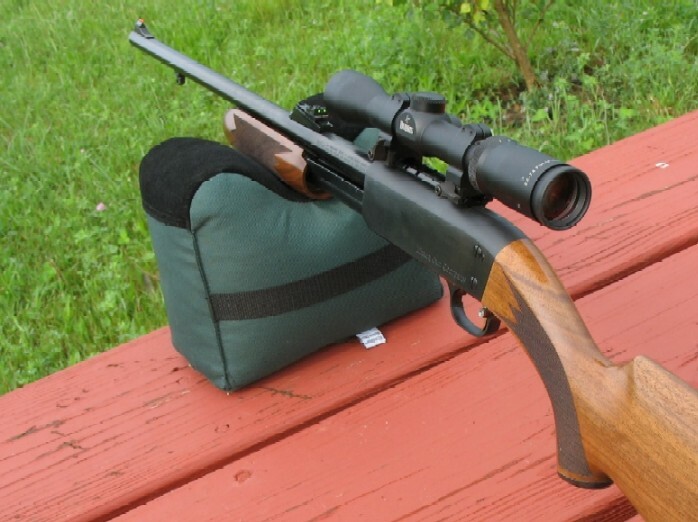 The Burris Ballistic-Plex 2-7 x 35mm Fullfield II scope proved to be an ideal match for the DeerSlayer II Twenty, attached with Warne steel Maxima quick-release rings. Access to the excellent Marble Arms iron sights is always only seconds away. So, it was off to the field for a day of test and trial and trial and error. The Deerslayer II was easy to get on the paper; the recoil regardless of specific shell is mild. 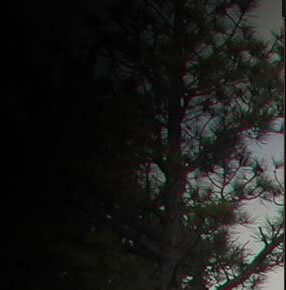 There is scant little reason to use an extended eye relief scope or other gimmicky Slug Gun scope. It's a deer rifle, you want it to shoot like any other deer rifle, and just like most moderate recoiling rifles you need three inches or so of minimum eye relief, but scant more than than. The gun doesn't move much and scope are meant to be looked through, not at. For best accuracy, it is always a good idea to let the barrel cool between groups. 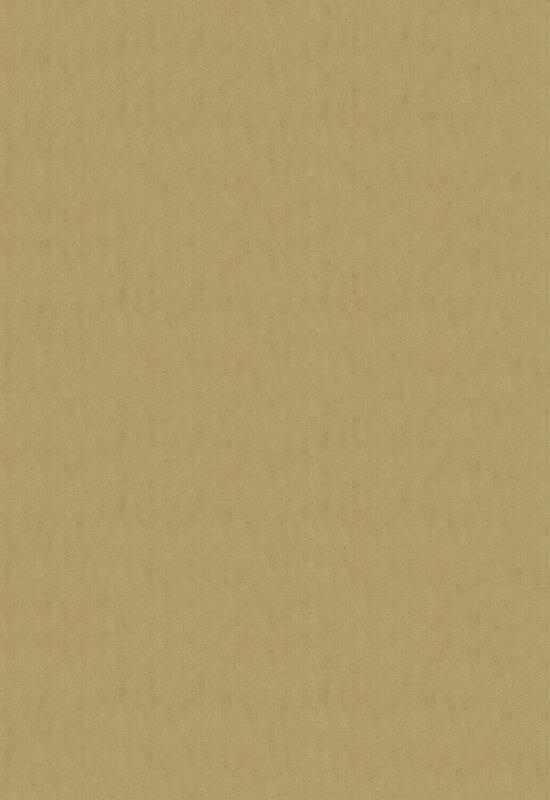 Modern sabots are good, but they are still polymer-based, not guilding jacket material. It is very easy to shoot the Deerslayer quickly, as you have a five shot capacity and it almost shucks itself. Blazing away on a hot day is unlikely to net you the best groups, however. With the 20 gauge DeerSlayer II you can use virtually any 2-3/4 inch or 3 inch commercially available saboted ammunition. As a broad and tenuous generality, 3 inch shells seem to give better accuracy than their 2-3/4 inch counterparts, but not always. After initial targeting, groups were fired with 2-3/4 inch Federal Barnes loads. Generally a good performer in times past, accuracy was lackluster at 100 yards. They grouped in the 3-4 inch range, good enough to whack a deer but not at all confidence-inspiring. Next up was the 3 inch Federal Tipped Barnes Expander loads, historically one of the best 20 gauge loads available. Groups did tighten up a bit, to the 2-1/2 to 3 inch range, but still not exactly memorable. Completely satisfied that we were never going to be completely satisfied with these loads out of the Deerslayer, despite many prior successes with them, it was time to move on. We've all heard the term Past Performance is Not Necessarily Indicative of Future Results. So it is with virtually all rifles and all firearms, more or less. We don't like hearing that all guns are individuals, but they are whether we like hearing it or not. Sabot-shooters are as individual as it gets. We have unlimited variations in sabot material, sabot type, bullet diameter and accompanying sabot thickness, free bore in a particular rifle, velocity, and the various bullet types themselves. Small wonder they all don't shoot the same as they are all substantially different. Next up was one of the newer twenty gauge slug loads on the market, this one from Winchester. The Winchester Supreme Elite Dual Bond three inch 20 gauge slug load is a 260 grain double jacketed bullet with an 1850 fps published muzzle velocity. Manufacturer's published velocities for slug rounds are invariably wrong, though, so consider this a 1725 fps load at best. The Dual Bond wasn't one of the most accurate loads out of other slug guns, but it was a completely different story with the DeerSlayer II. It's like this load was tailor-made for this slug-gun. It groups as good as (or likely better) I can hold at 100 yards. After witnessing three-shot, 100 yard groups like the above out of the DeerSlayer II, my Dad commented, "Good grief! Just what more could you possibly want out of a slug gun?" I just smiled and said, "Not a thing, Dad. Not a single blessed thing." As far as I'm concerned, this is an astonishing level of accuracy from a slug gun, more accuracy than you can use in the field. 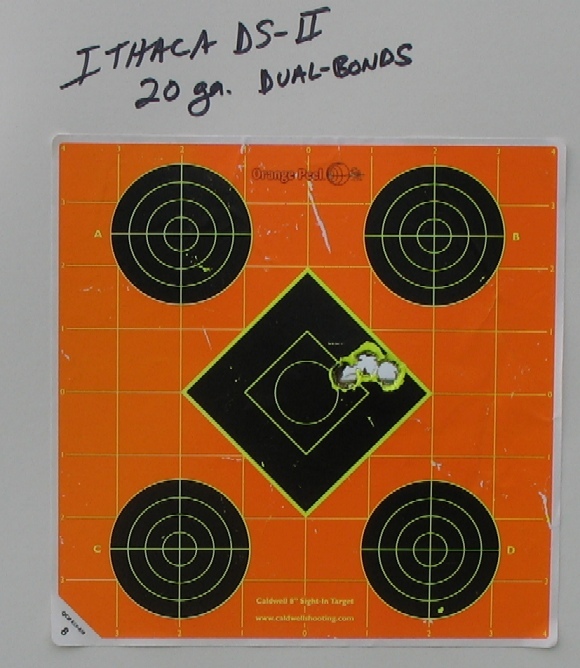 Considering the Ithaca Deerslayer II isn't supposed to be the most accurate of all the Ithaca slug guns, the heavy barreled Deerslayer III is, groups like this are all the more impressive. In checking with the folks at Ithaca, there is a trend that Hornady SST and Winchester Partition Gold saboted loads also do quite well in DS-II 20 gauges. One of the best things about the Deerslayer II is its versatility. The Marble Arms fiber optic sights are outstanding, so you're good to go right out of the box. 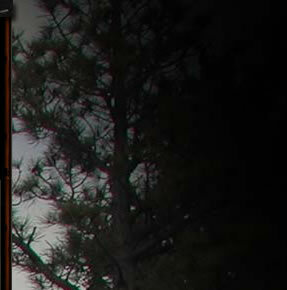 Where no scopes or no magnifying optics are allowed, it is just no issue at typical deer-hunting ranges. With the one-piece Weaver rail, you can mount Aimpoint or other red dot sights, or virtually any other sighting device you prefer. In the age of technopolymer and alloy, it is satisfying to find a slug gun made from solid steel, including the trigger guard, a well-checkered black walnut stock set, a good trigger, a 4140 Chrome-Moly barrel, evenly applied bluing, and attention to detail often lost like the pewter grip-cap. It is, like all Ithaca product, proudly made in the USA. The Deerslayer II is an easy-handling, soft-shooting, versatile, immensely reliable deer rifle capable of supremely good accuracy.